Our 2 Days / 3 Nights Phuket Diving Liveaboard Cruise on MV Giamani allows you to enjoy a great diving diversity with 8 dives between the Racha Islands and the Phi Phi Islands. The perfect trip for those who have limited time and want to enjoy the best Phuket Diving. Especially popular for those who live in Bangkok, Singapore, KL or other nearby countries/cities as our cruise runs from Friday evening to Monday morning, allowing to take advantage of the weekend off the job to enjoy great diving in Thailand. 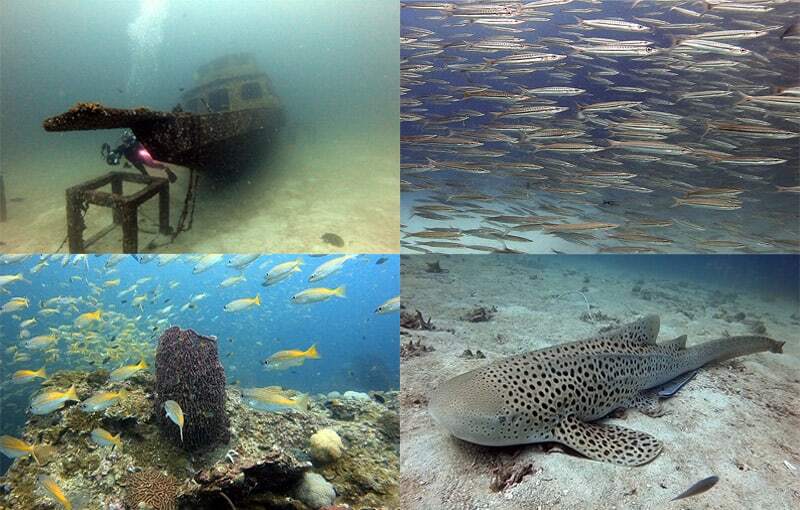 On Saturday will enjoy four dives at the best Racha Yai & Racha Noi Islands dive sites. 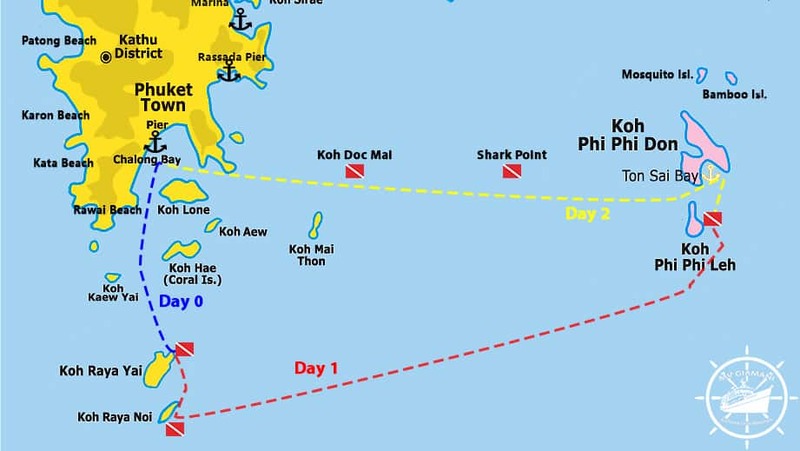 Then on Sunday will be four dives at the top Phi Phi Islands dive sites, with the chance of exploring Phi Phi Village at night for a few drinks (no diving planned for next day!). Will then cruise overnight back to Phuket Chalong Pier, so on Monday morning you’ll have breakfast onboard MV Giamani before disembarking. See below the full itinerary for this Phuket Diving Liveaboard. 17:30 – Dive #8: Viking Bay or Pileh Wall. 09:00 – Disembark and transfer to your hotel or airport.